Registry: Lubeck/Fed Rep of Germany, Limassol, Trapani, Bahamas, Oslo,Nassau, Oslo. January 20th 1972: Keel laid. July 22nd 1972: Delivered to J.A. Reinecke & Co, Lübeck, Germany (Registered to KG Transcanaria Schiffahrtsgesellschaft Reinecke & Co., Hamburg) as WESERTAL. 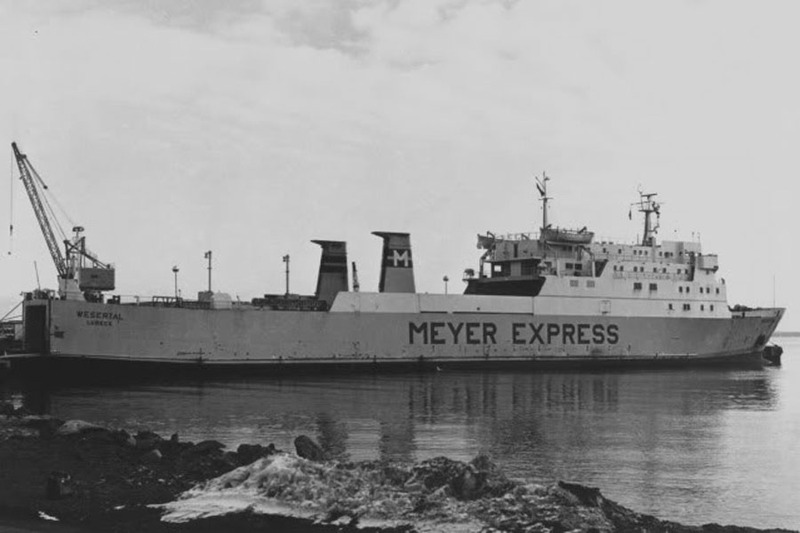 November 1972 – May 1973: Chartered to Meyer Lines and renamed MEYER EXPRESS. Operated services between Kiel – Moss – Horten. May 19th 1973 – December 22nd 1973: Chartered to Jahre Line A/S, Oslo for service between Kiel – Oslo. 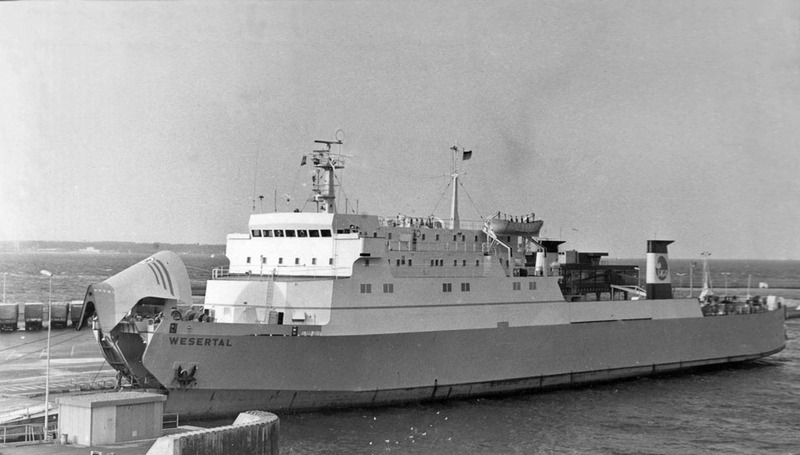 January 8th 1974 – June 10th 1974: Chartered to North Sea Ferries B.V., Rozenburg for services between Zeebrugge – Hull. Consideration to change her name to NORCLOUD never materialised. 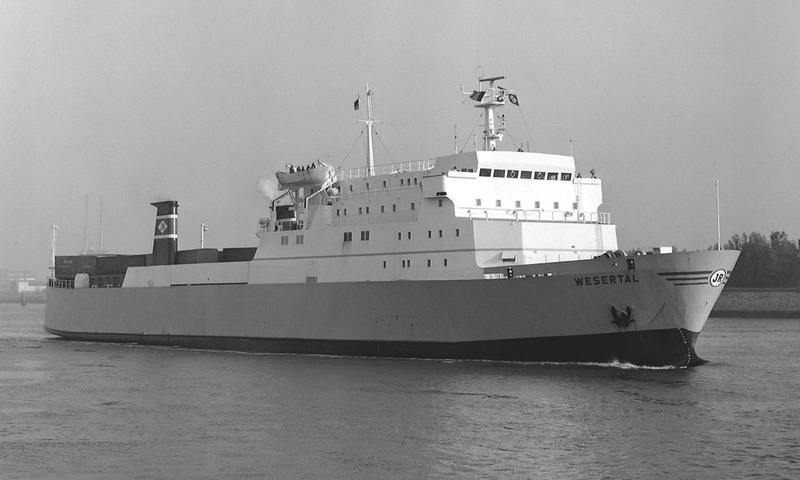 1975 – February 1977: Chartered to Roto Line for services between Wallhamn – Felixstowe. 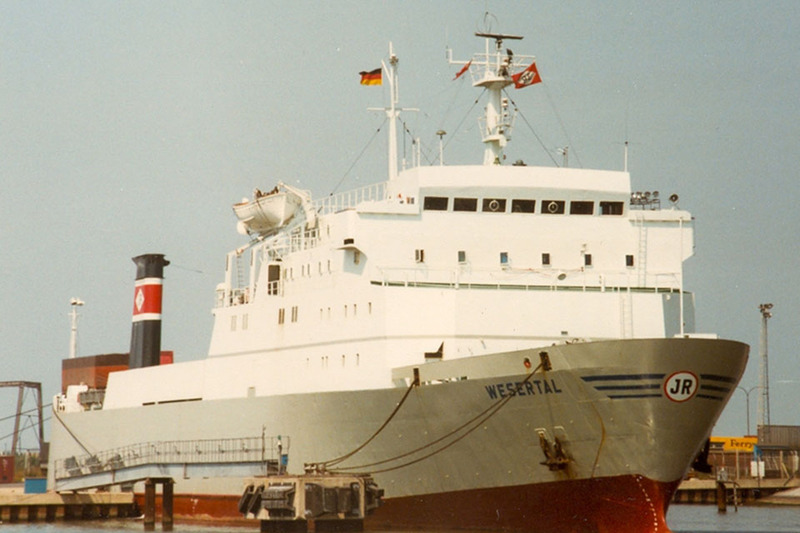 February 16th 1977 – December 31st 1979: Chartered to Saga Linjen, Helsingborg for services between Travemünde – Copenhagen – Helsingborg. 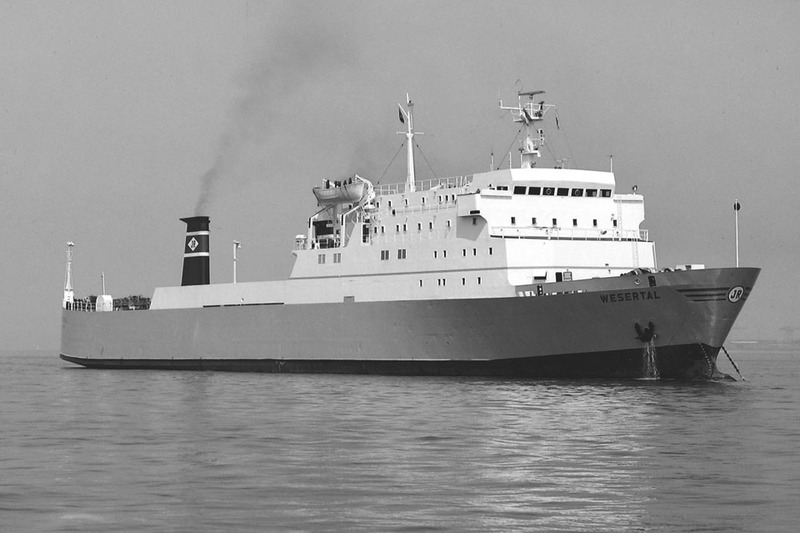 January 2nd 1980 -December 31st 1981: Chartered to TT-Saga Line operating between Graveside – Malmo and Helsingborg. 1982: Registered Owner; Partenreederei MS Wesertal. 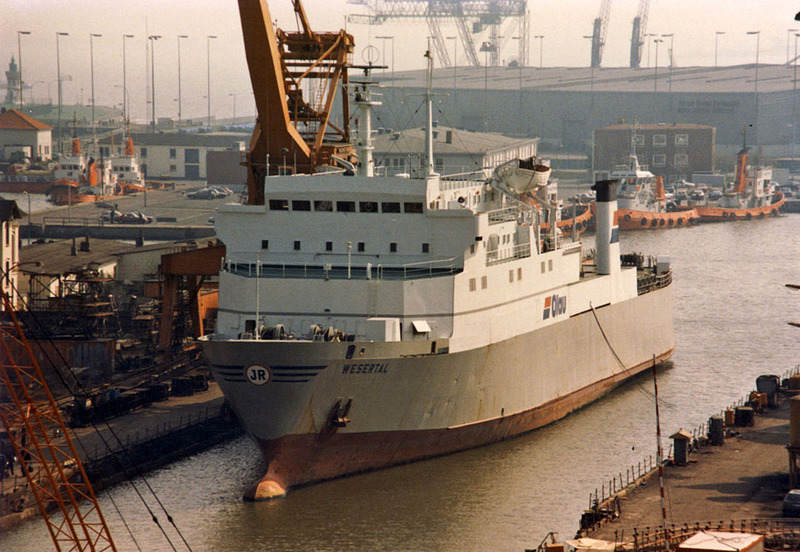 May 1982: Chartered to Townsend Thoresen (European Ferries) for 14 days and operated between Felixstowe – Europoort. 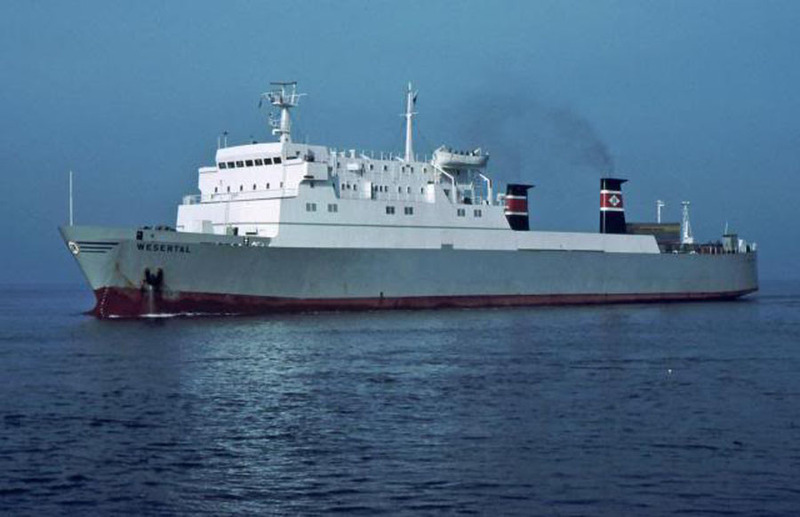 January 7th 1983 – July 1st 1983: Charter to TT-Saga Line for services between Travemunde – Helsingborg. 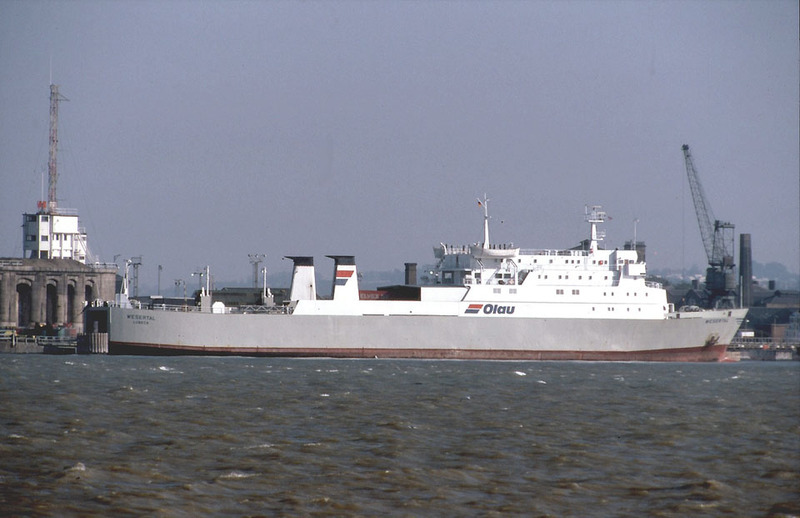 1983 (winter): Charter to Olau UK Ltd and operated between Vlissingen – Sheerness. December 23rd 1985 – January 5th 1986:Refitted at Bremerhaven. 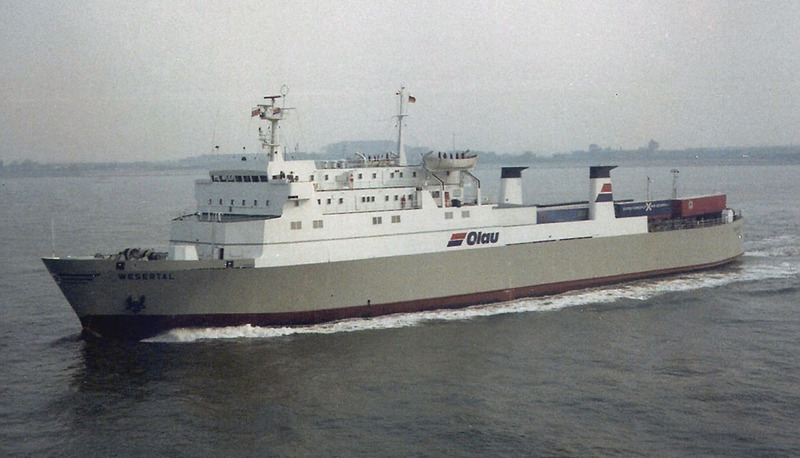 January 6th 1986 – February 1988: Chartered to Olau UK Ltd for services between Vlissingen – Sheerness. 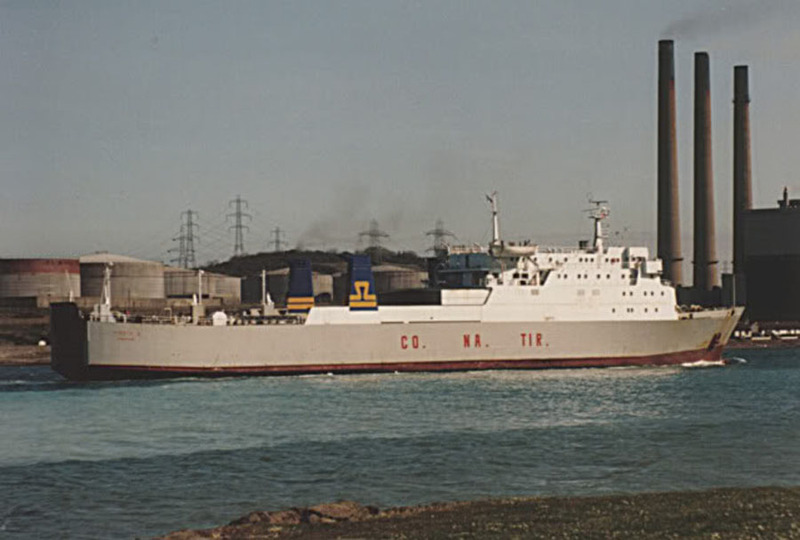 February 1988: Chartered to B + I Line and used between Dublin – Liverpool. 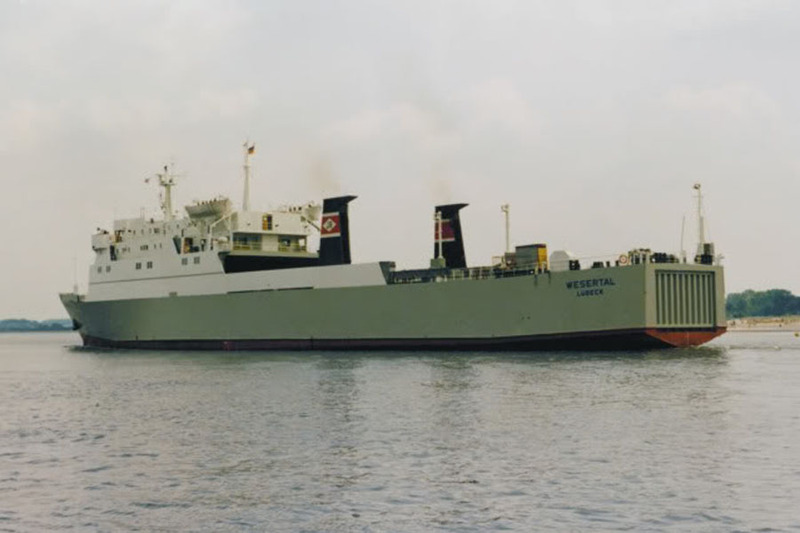 October 25th 1991 – November 15th 1991: Chartered to North Sea Ferries B.V., Rozenburg for services between Rotterdam – Hull. 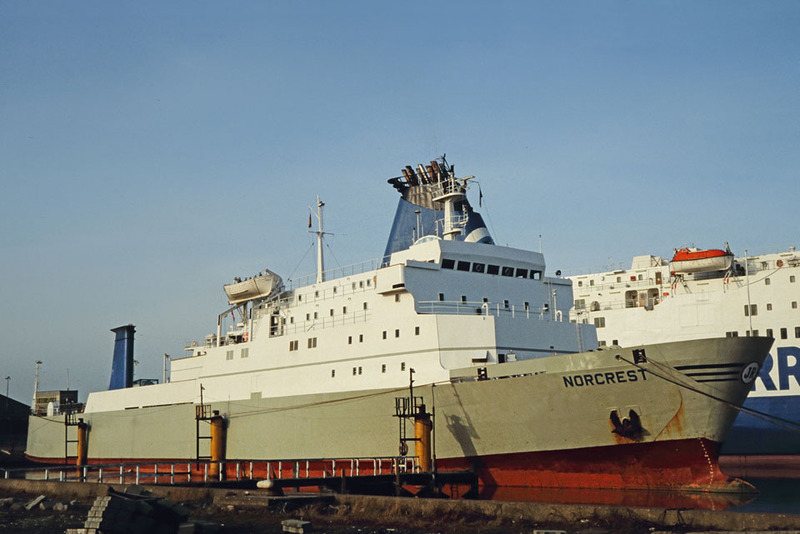 1992: Registered Owner; Atlantic Sun Shipping Co., Limassol, Cyprus and renamed NORCREST. 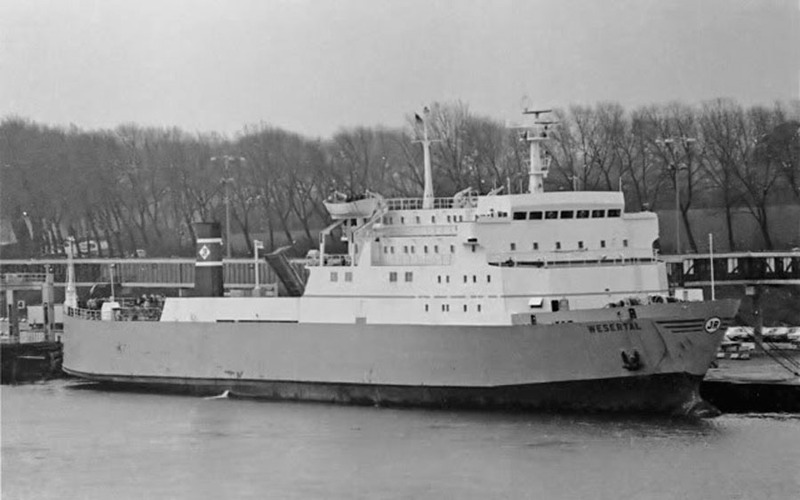 January 7th 1992 – November 12th 1992: Chartered to North Sea Ferries B.V., Rozenburg for services between Rotterdam/Zeebrugge – Hull. 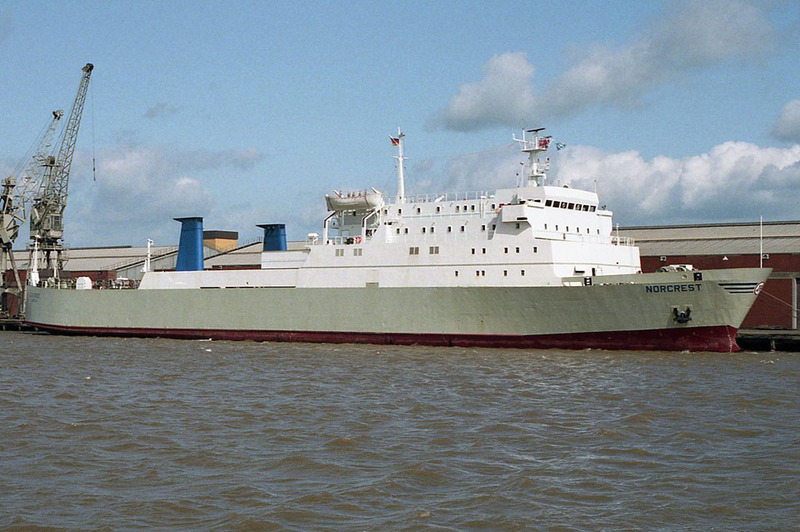 January 3rd 1993 – February 9th 1993: Chartered to Commodore Shipping and used between Portsmouth – Channel Islands. February 10th 1993: Left for Bremerhaven. 1993: Sold to CO.NA.TIR. SpA, Trapani, Italy and renamed VINZIA E.
February 15th 1993: Left Bremerhaven for Italy. 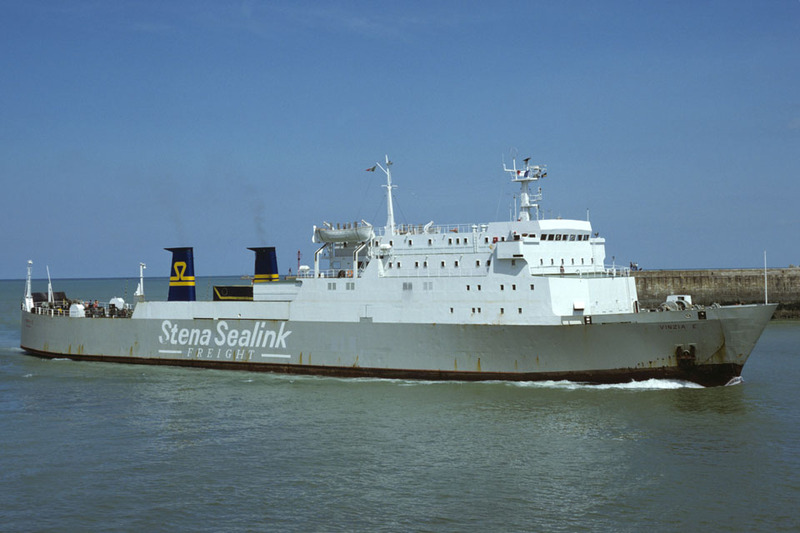 June 4th 1993: Chartered to Stena Sealink Line and initially operated services between Newhaven – Dieppe. 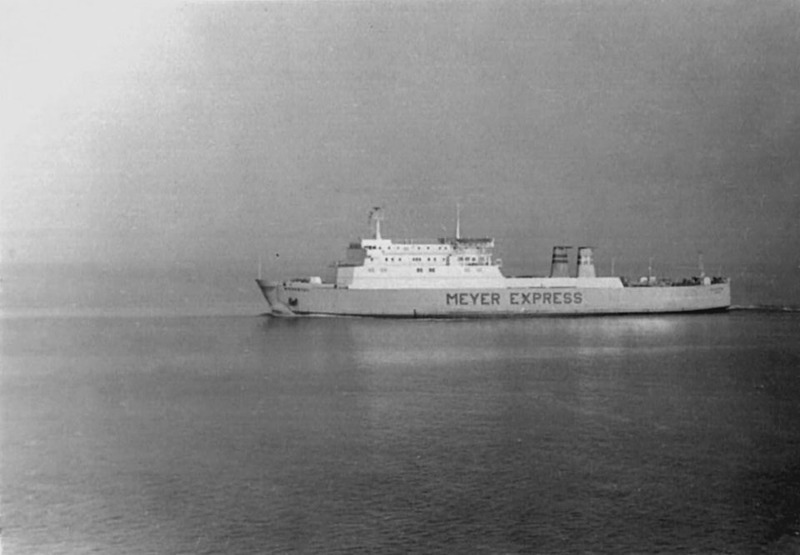 March 1994: Operated Fishguard – Rosslare. April 1994: Operated Stranraer – Larne. 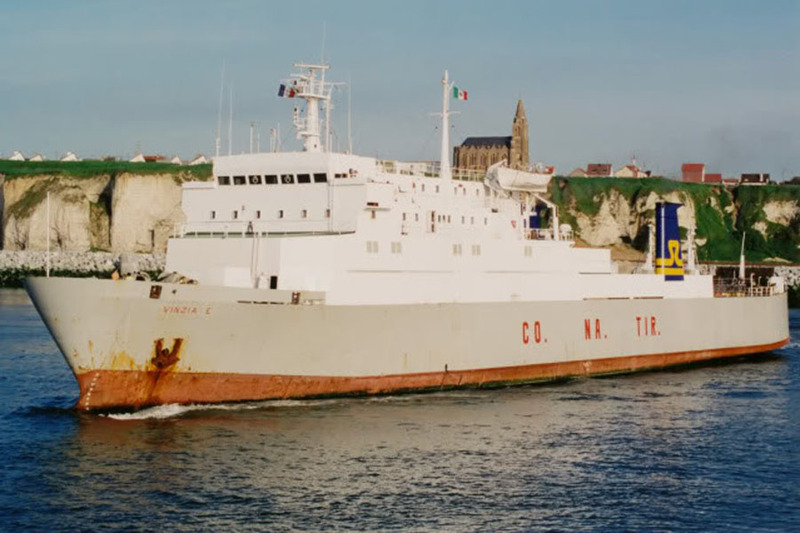 1994: Operated Newhaven – Dieppe. 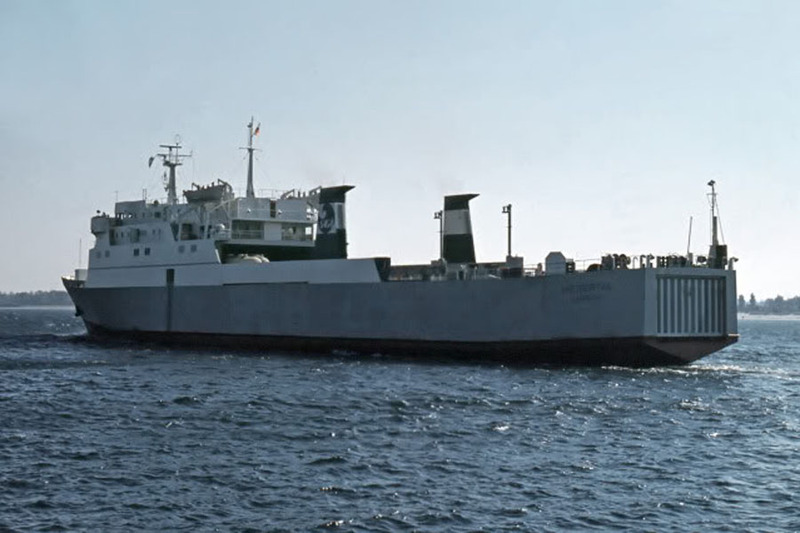 September 1994: Refit cover Fishguard – Rosslare. 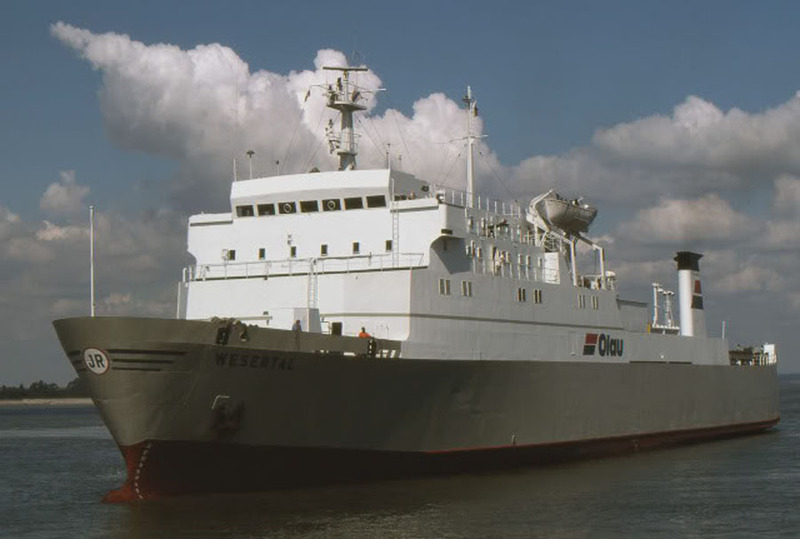 December 16th 1994: Sold to Clare Business Ltd., Oslo (NIS), Norway and renamed DANA BALTICA. 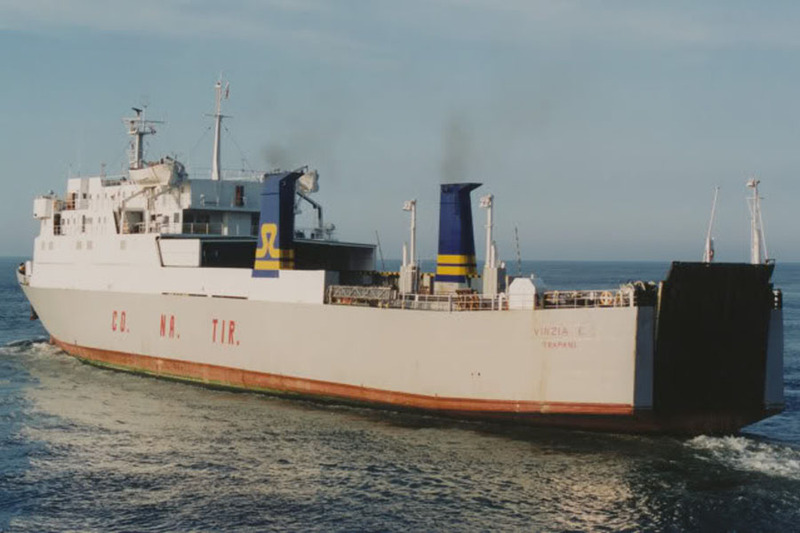 1994: Chartered to Dan-Liet Line and operated services between Fredericia – Klaipeda. 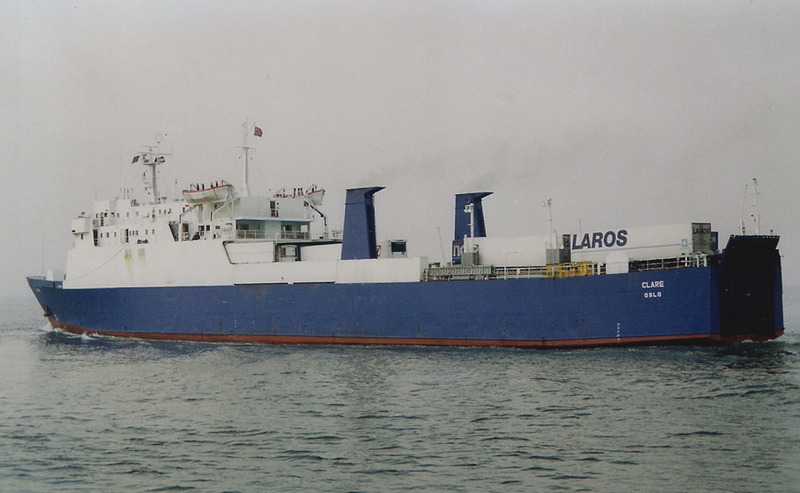 August 4th 1995: Chartered to DFDS and introduced between Copenhagen – Malmö – Klaipeda. 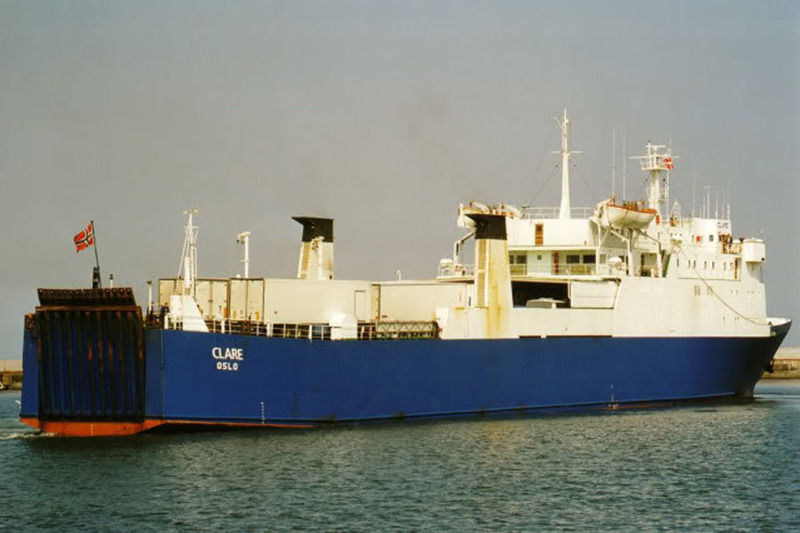 May 1996: Completion of charter to DFDS and renamed CLARE. 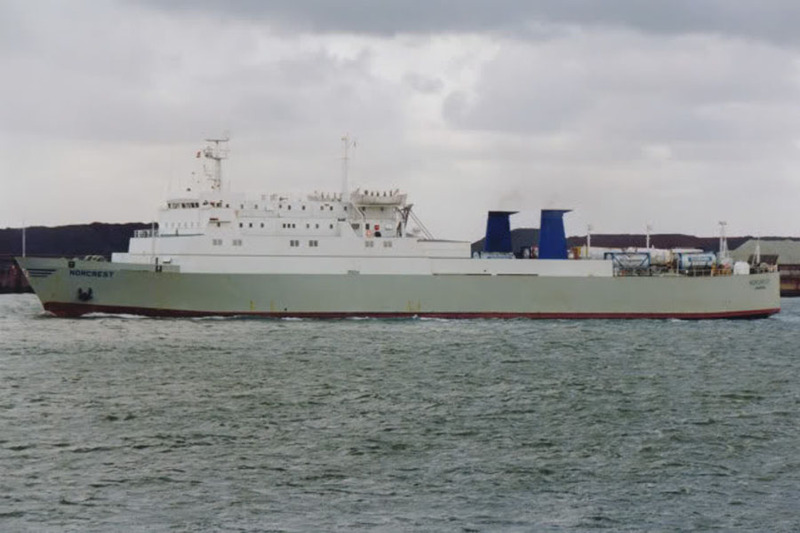 May 1996 – November 29th 1996: Chartered to Norfolk Line and introduced between Scheveningen – Felixstowe. 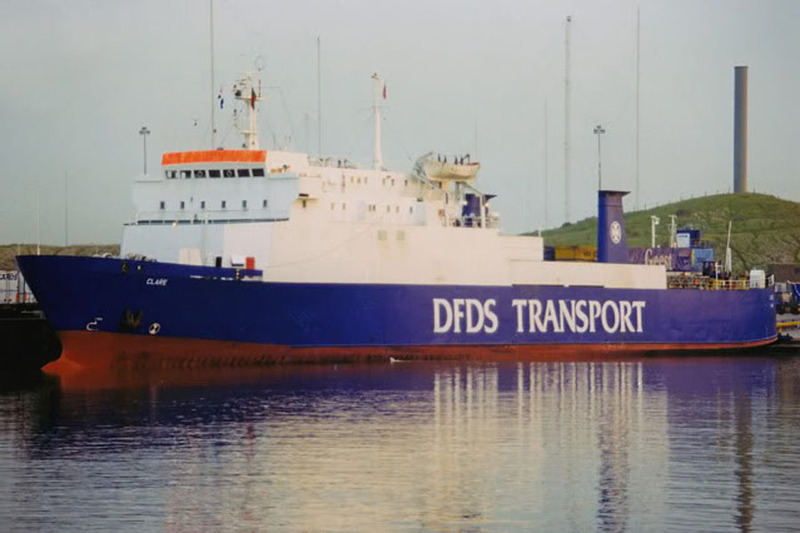 December 1996 – April 8th 1997: Chartered to Strandfaraskip Landsins, Torshavn, Faeroes Isles and introduced between Torshavn – Aberdeen – Cuxhaven. April 1997: Chartered to Amber Line for services between Karlshamn – Leipaja. 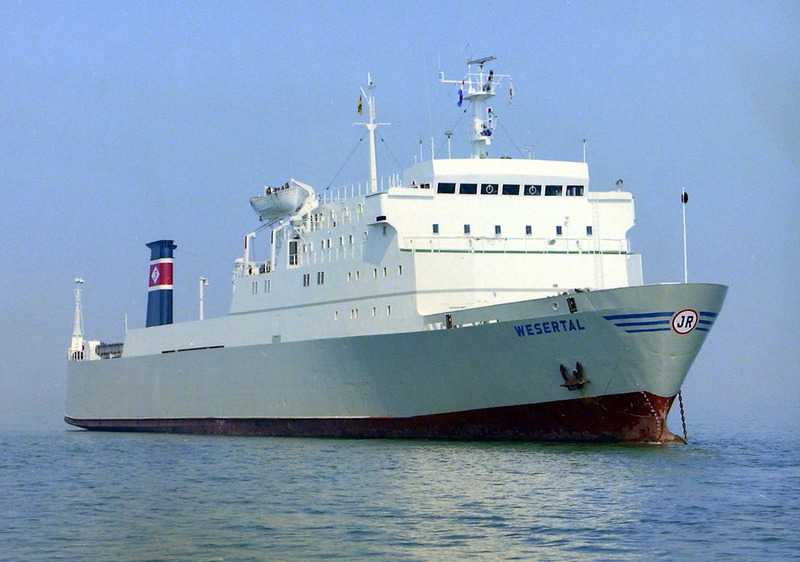 May 21st 1997 – December 1997: Chartered to NorSea Link for services between Kristiansand – Eemshaven. 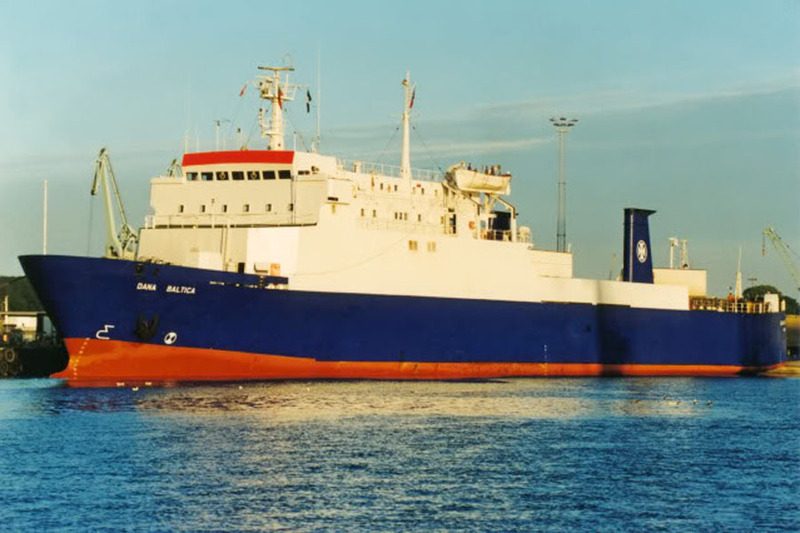 February 1st 1998: Chartered to DFDS, Copenhagen and introduced between Fredericia – Köpenhamn – Klaipeda. 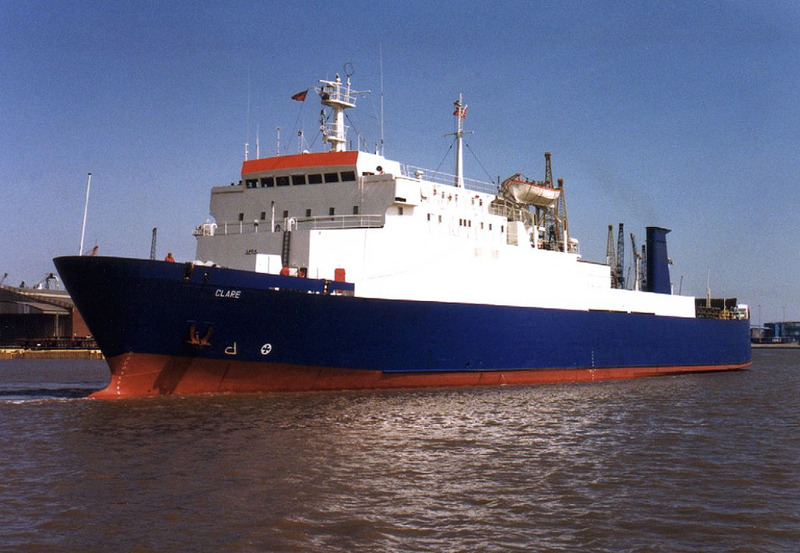 December 1998: Operated between IJmuiden – North Shields. January 1999 – January 23rd 1999: Chartered to Nato as a troop carrier. 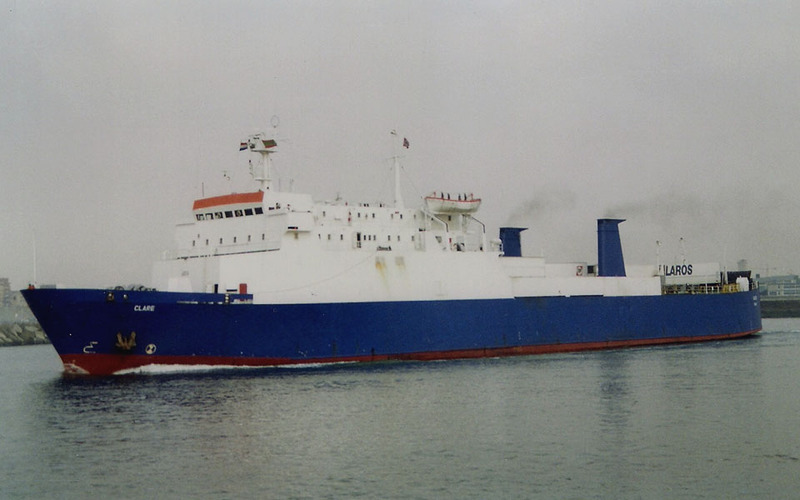 January 23rd 1999: Operated between Ijmuiden – North Shields. 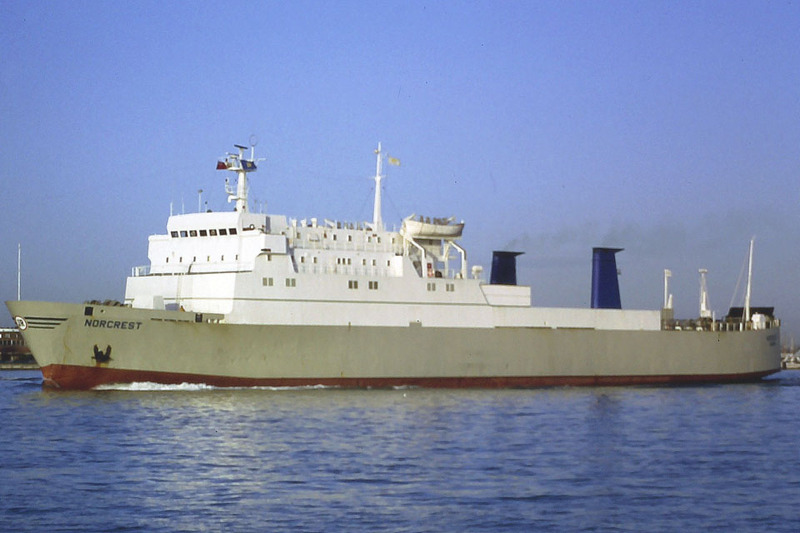 April 1999: Chartered to CargoConnect Transport&Logistic (CCTL), Hamburg and operated between Hamburg – Hull. 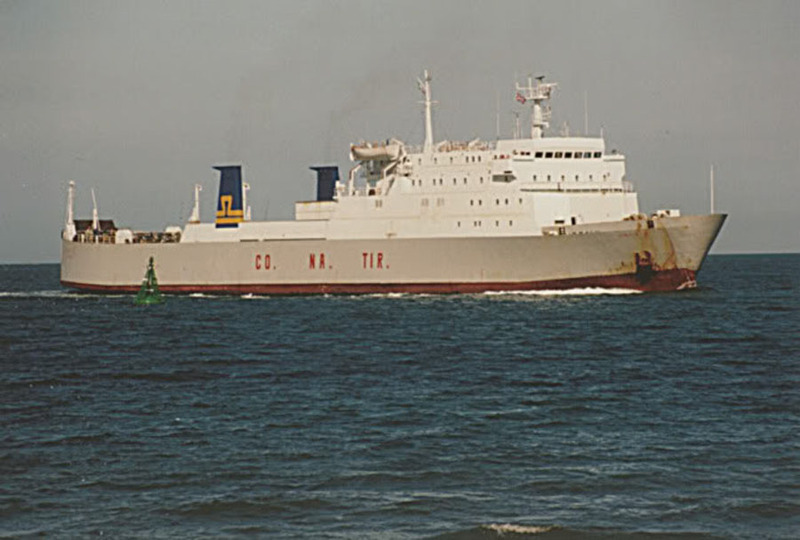 September 15th 1999: Chartered to International Atlantic Line and operated between Southampton – Bayonne. 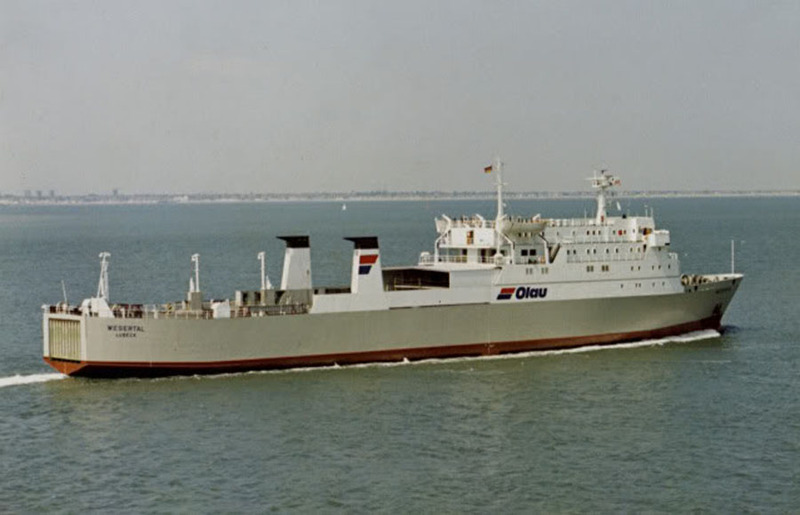 May 2000: Chartered to Condor Ferries and operated between Portsmouth – Jersey – Guernsey. July 2000: Laid up in Horsens, Denmark with mechanical problems. 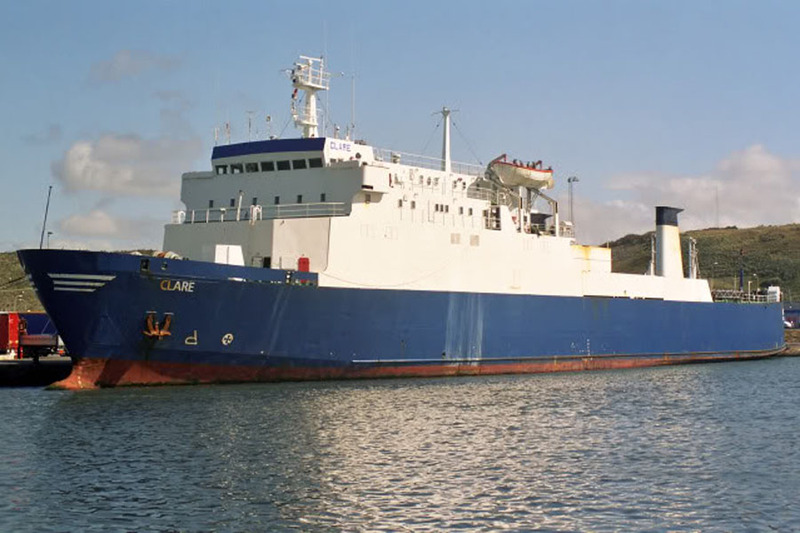 August 2000: Sold to Linie 3 (Management Rederiet Otto Danielsen), Nassau, Bahamas (Registered to Clare Maritime Aps, Nassau, Bahamas). 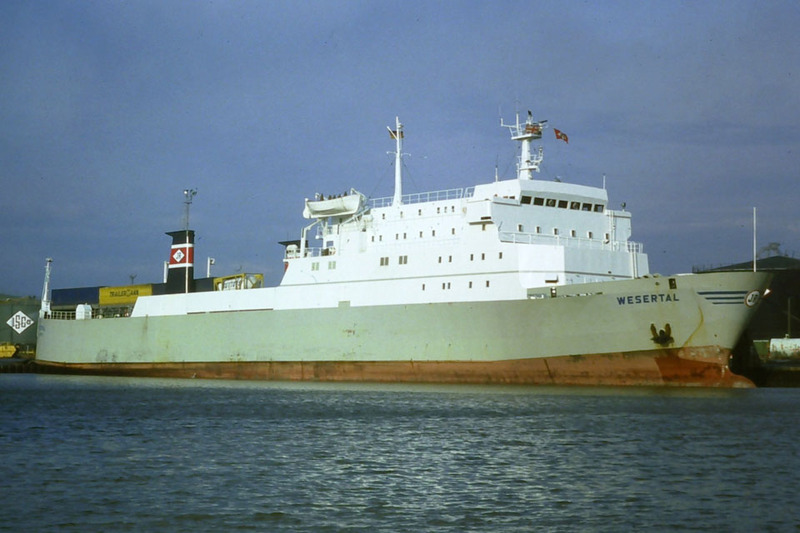 August 2000: Repaired at Svendborg yard. 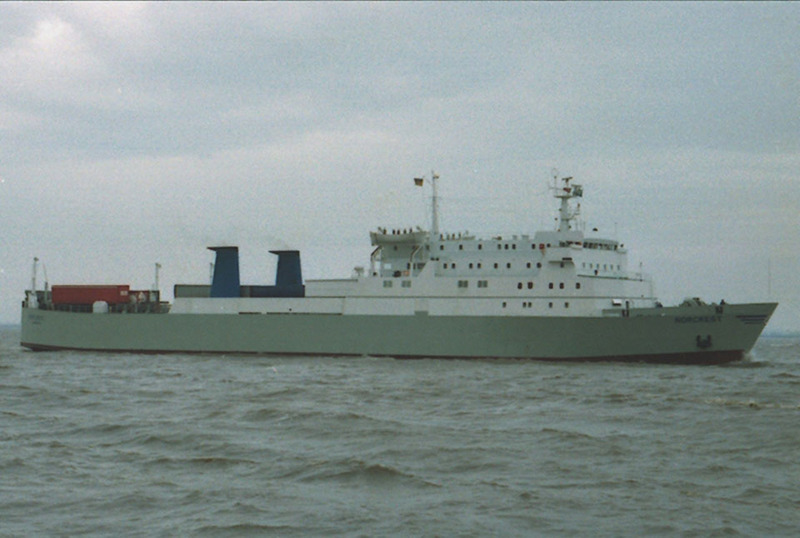 November 25th 2000: Chartered to Poseidon Schiffahrt, Lübeck and introduced between Kiel – Riga. January 22nd 2001 – March 12th 2001: Chartered to Bornholmstrafikken, Rönne, Denmark and operated services between Rønne – Ystad. 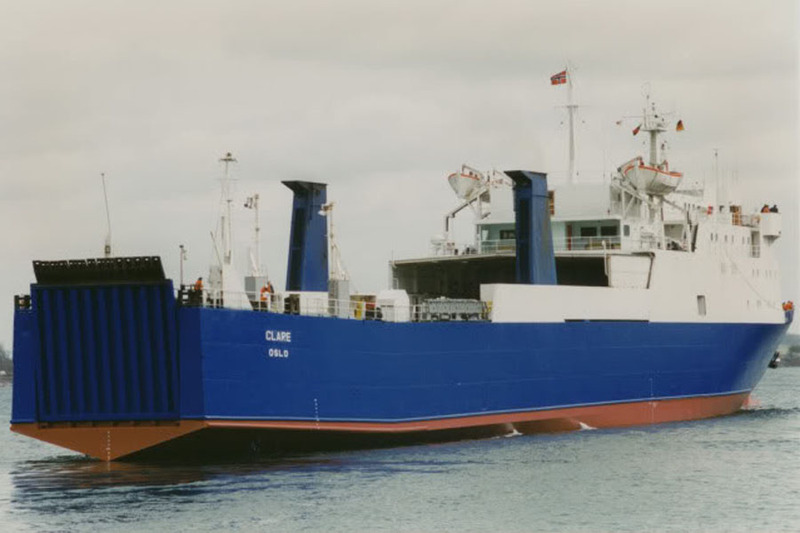 April 2001: Chartered to Smyril Line and operated between Hanstholm – Lerwick – Torshavn. 2002: Registered Owner; Fornaes Skibsophugning A/S, Grenå, Denmark (Michael Svendsen, Kristen Hjelm) but sailed under the Norwegian flag with home port as Oslo. November 3rd 2002: En-route between Torshavn – Hanstholm, in rough weather, suffered mechanical failure and damage. November 7th 2002: Towed to Invergordon, Scotland for repairs. September 9th 2003: Completed her charter to Smyril Line. October 26th 2003: Laid up in Frederikshavn. December 5th 2003 – December 23rd 2003: Chartered to NorthLink for services between Lerwick – Aberdeen. December 2003: Laid up in Bergen. January 6th 2004: Chartered to NorthLink for services between Lerwick – Aberdeen. July 29th 2004: Whilst leaving Aberdeen she suffered an engine room fire. July 2004: Repaired in Frederikshavn. August 28th 2004: Returned to service. 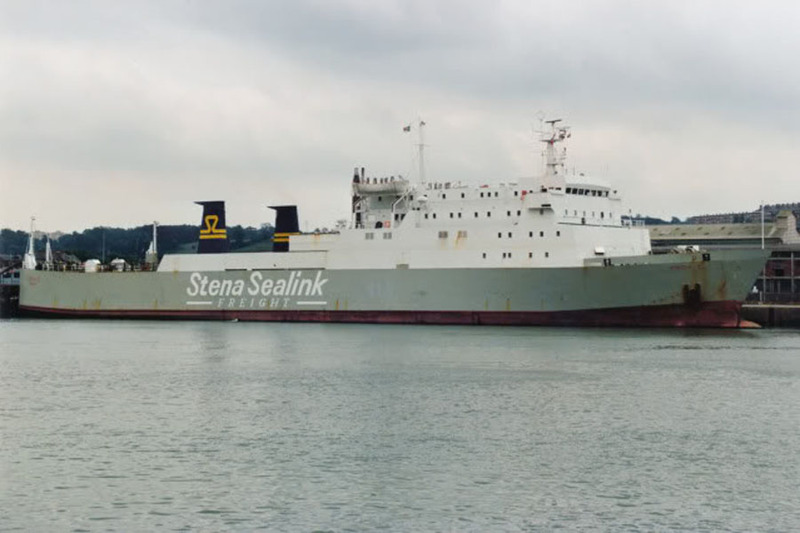 2008: Registered Owner; Clare Shipping APS. Registered Manger; Frederik Gybels Vej 2, 9300 Saeby, Denmark. December 24th 2010: Completed charter to NorthLink. December 26th 2010: Arrived in Kristiansand. January 2nd 2011: Chartered to Thy Ferries for services between Kristiansand – Hanstholm. March 12th 2011: Charter completed and reurned to her owner. March 15th 2011: Arrived in Grenå for lay up. May 24th 2011: Sold to Fornæs Shipbreaking, Grenå, Denmark for breaking. All information is believed to be correct and no responsibility is accepted for any errors or omissions. All items included in this article are subject to © copyright. We would like to take this opportunity of thanking: Cees de Bijl, Gena Amfimov, Aubrey Dale, Andrew Gilbert, Mike Griffiths, Frank Heine, Patrick Hill, Pieter Inpyn, Dirk Jankowsky, John Jones, Ken Larwood, Bob Scott, Simonwp, Jurgen Stein and Andreas Wörteler for their assistance in producing this feature.